Government has made mandatory for insurance policy holders to link their Aadhaar to their life insurance policies. The deadline to link Aadhaar has been extended to March 31, 2018. In case Supreme Court does not extend the deadlines further or nullify the order, you may face difficulties when the policy matures or when the nominees file claim. So if you have aadhaar and have no inhibitions to link it go ahead and do it well before the deadline. The Aadhaar can be linked to insurance policies both offline and online (for some companies). For offline you’ll need to visit the insurance company office with your aadhaar card & insurance policies. In this post we tell you how to link Aadhaar to your insurance policies online. 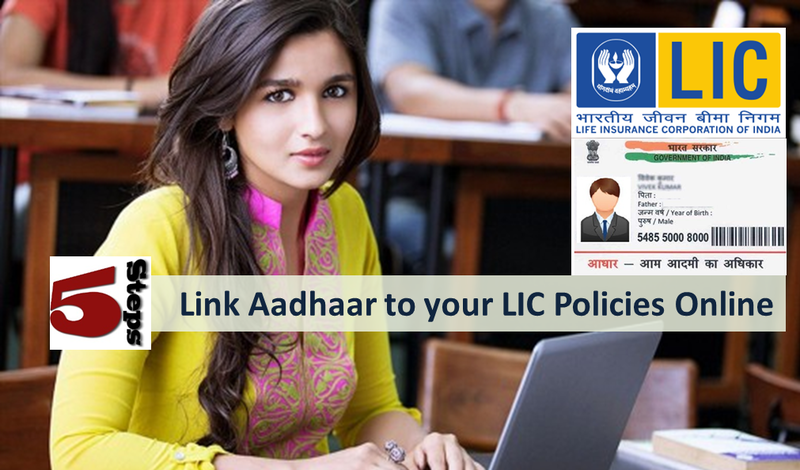 Step 1: Click on the following link to go to LIC link Aadhaar and Pan to policy page. Also Read: How to Link EPF UAN to Aadhaar? Step 3: You will receive OTP from UADAI to your Aadhaar registered mobile number. In case you do not have right number updated on your Aadhaar you cannot proceed further. You’ll need to either update mobile number in Aadhaar or link it offline to your policies. Step 4: On giving the right OTP, you’ll get the message regarding success of the registration for linkage. Step 5: After LIC verifies the Aadhaar with UADAI, you’ll receive SMS/email confirmation for the same. This may take a few days. I hope this post would help policy holders to link their Aadhaar to LIC Life insurance policies. How to track if your Aadhaar has been Misused? How to Link EPF UAN to Aadhaar? I have been trying for the past two days but I never receive OTP. 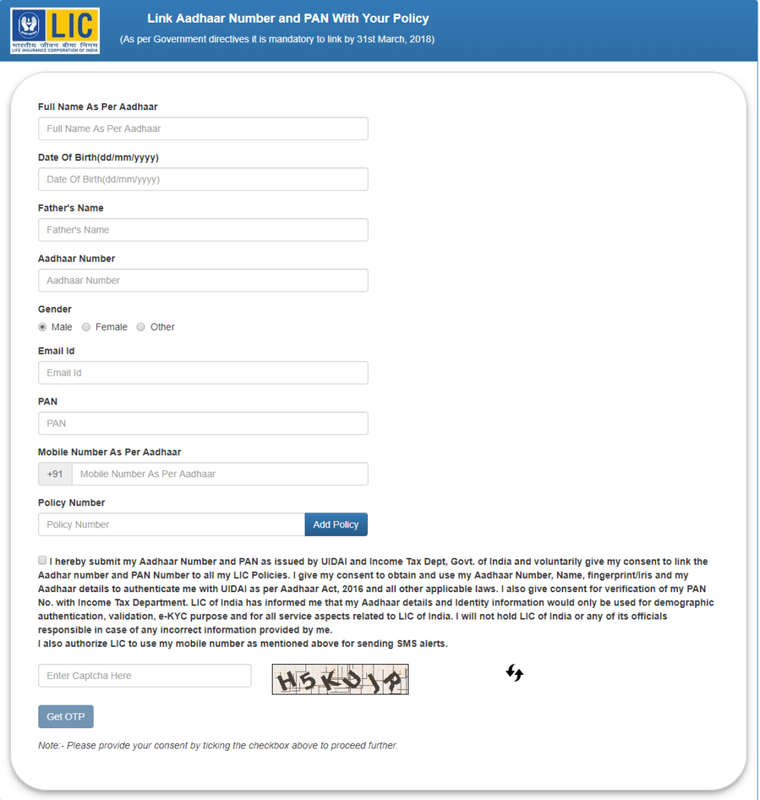 I have linked my aadhar to my bank accounts, Karvy, CAMS, all of them done online with ease, but LIC. I fill out the information and click Get OTP, but I never receive OTP on my mobile.